It takes all kinds of keywords to make up a website, from head terms to the long tail, and different types of keywords accomplish different goals. Some drive tons of traffic, others are important for establishing authority. Then there are the keywords that convert. If you’re trying to sell a product or service through your website, keywords that convert at a high rate are an enormously valuable marketing asset. So how do you find those super-valuable converting keywords, and make them work harder for you? Here’s how. It takes a little more digging to find the keywords that are driving conversions, but it’s not too difficult. Assuming you’ve defined your various conversion types as goals in Google Analytics, you can then create an advanced segment based on one, a few, or all of those goals by clicking the “New custom segment” button in the Advanced Segments drop-down area. 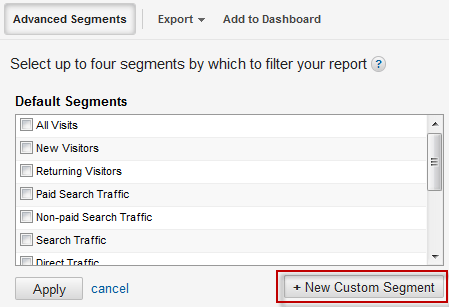 You can apply your new custom segment to any area in Analytics. To find which organic (SEO) keywords are associated with conversions, go to Traffic -> Sources -> Search -> Organic. Then click “Advanced Segments” and apply the custom segment you created to the data. This will show you all the organic search queries that led to goal completions in your given time frame. Brand keywords – Your own brand is an obvious one, but this category also includes competitors’ brands. In other words, if you sell single-serving coffee makers, you should probably be going after terms like “Braun” and “Keurig.” (Conversely, make it hard for your competitors to steal conversions on your own brand keywords; own that real estate and optimize the landing pages for conversion.) 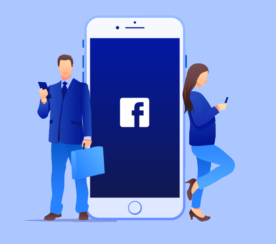 Related brands are also important – for example, keywords that include the word “AdWords” are valuable for us, because our software works in concert with AdWords. How-to keywords – These keywords come from people looking for help with a task – for example, “how to unclog a sink” or “how do I find a wedding venue.” Presumably, whatever you’re selling is designed to help people complete a definable task or fulfill a desire. Product keywords – For us, product keywords usually include the word “tool” or the word “software.” But this will vary depending on your industry. The more data you can look at, the easier it will be to find patterns. Try sorting alphabetically to help you see words and phrases that pop up again and again. These keywords should be like your favorite children. If you already have content that features these keywords, give it a boost by sharing with your social circles, building links to those pages, increasing your bids for those keywords in PPC, and so on and so forth. Make sure your on-page optimization is on point, and run some A/B tests to see if you can’t drive your conversion rate up further. You can also use your research to inform your future content marketing efforts. When creating and scheduling new content, prioritize keywords that fit into the patterns you identified in Step 2. 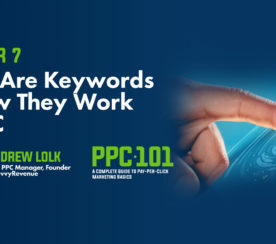 In other words, if how-to keywords convert well for your business, create more pages that target new how-to keywords. (They should still be relevant to your business, natch.) If you’re killing it with local keywords, build out your geotargeted campaigns and focus more of your energies on local SEO.